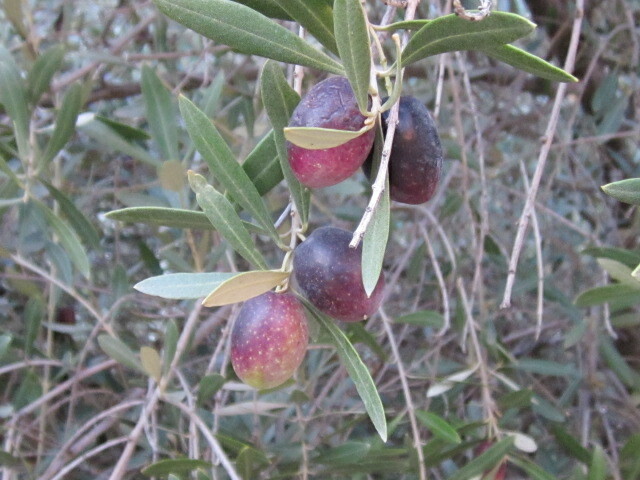 Olives, ripe and ready to pick. Fall may mean colorful leaves and apple harvests in the temperate regions of the globe, but in Southern Arizona and warm desert regions around the world, it is olive harvest time. Several years ago a famous author died, and many notables who had been guests in his home on the coast of Southern Italy recalled their visits. One woman remembered walking through the olive groves and plucking and eating juicy olives. I laughed aloud when I read that. She may have plucked something, but it wasn’t olives. Olives off the tree are very bitter and they must be processed to be edible. Various cultures have their own methods of removing the bitterness from olives. There’s the dry salt method, the brine method, the water method and the lye method. For 30 years I have followed instructions taught by the late Dr. Robert H. Forbes, who became dean of the College of Agriculture at the University of Arizona in 1899. He had made an intensive study of the home processing of curing olives. His process uses lye and the method has always worked for me. Last week when I went to the hardware store to buy the lye and told the clerk what I was going to do with it, he kept cautioning me that it was poison and came close to refusing to sell it to me. By following the instructions carefully, I never poisoned myself or the recipients of my olives. 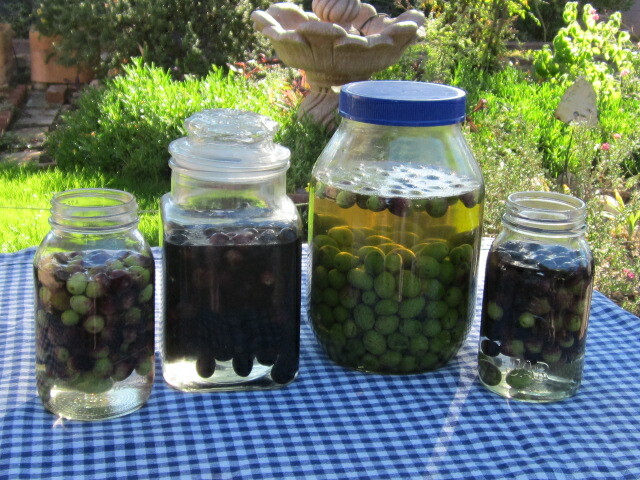 You can home process green olives, black olives or those somewhere in between. Olives, green, black and in-between, in a lye bath to leach the bitterness. They will remain in the bath for 5 to 7 days. It’s too much typing to explain Dr. Forbes’ method, but the good folks at UC Davis have done a complete description of each method of olive processing and you can find it here. The difference in Dr. Forbes’ lye method is that it doesn’t call for a changing of the lye bath. You just leave the olives in the original lye solution until either taste or a litmus paper shows that the bitterness has been removed. For me, this has been between five and seven days. But lye is cheap and you’ll have more than necessary, so if changing helps, why not? After the bitterness is gone, the olives are rinsed (and rinsed!) to remove the lye and hardened with successively strong salt brine solutions. Lastly, they are freshened in water. I like to flavor mine with a mixture of olive oil, wine vinegar, garlic cloves and fresh herbs from my garden. Home processing olives is neither difficult nor overly time consuming, but you do need to commit about five minutes a day to the endeavor. For that little bit of effort, you can end up with a year’s supply of olives for only the cost of lye and salt and some nice gifts for your friends and family.